Casio Malaysia Sdn Bhd. 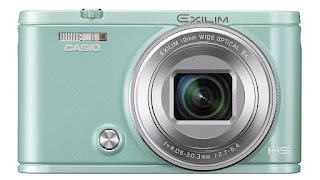 launched the EX-ZR5000 today, the latest addition to its EXILIM family of digital cameras. The new camera features a 19mm super-wide-angle lens that takes breathtaking photos with an expansive perspective. 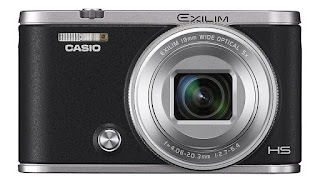 Under the brand concept of “Amazing Gear,” EXILIM cameras continue to deliver new uses and new ways to enjoy digital picture-taking. 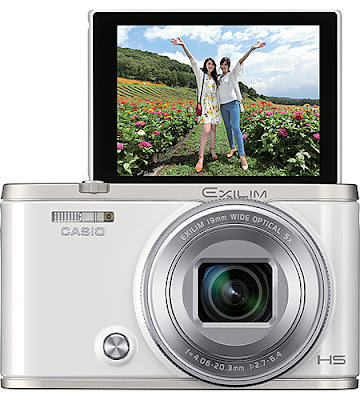 The new EX-ZR5000 features a 19mm super-wide-angle lens that takes beautiful, breathtaking photos, capturing the sweeping landscapes and magnificent structures the user may see while traveling. The wide-angle view captures the full background even when taking self-portraits or group shots, to produce appealing photos that enhance the imagination of the viewer. The new Wide View Photo mode automatically creates a zoom to wide angle animation, by capturing both a zoomed-in still image and a zoomed-out wide-angle still image. The zoom angle tracks the original position even when the camera is shifted, enabling the user to adjust the composition according to the subject. 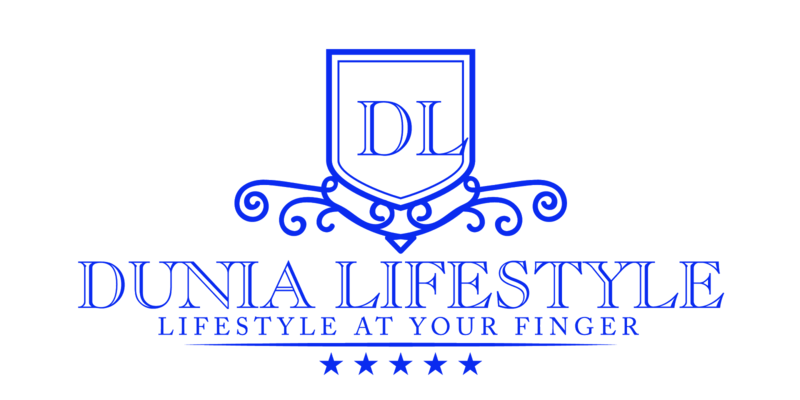 Animations created using Wide View Photo leave a completely different impression by revealing the background, to produce delightful and surprising moments for sharing on social media. 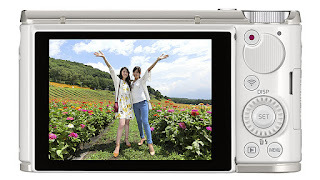 The EX-ZR5000 is equipped with a 1/1.7-inch back-illuminated CMOS image sensor that has a large surface for receiving more light when shooting in dim indoor lighting and for high-speed burst shooting. 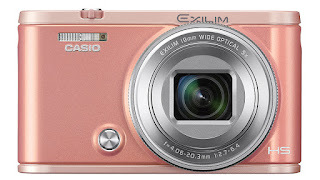 Together with its super-wide-angle 5x optical zoom lens, the camera can capture beautiful night views and attractive images of quick-moving subjects such as children and pets. Make-up mode can be applied while viewing an image to give skin a smooth, fresh look by adjusting the color and smoothness for healthy-looking skin, expressing subtle details and bringing out feminine beauty with remarkable clarity. The lens takes beautiful and breathtaking photos, capturing the sweeping landscapes and magnificent structures the user may see while traveling. The wide-angle view captures the full background even when taking self-portraits or group shots, to produce appealing shots that enhance the imagination of the viewer. 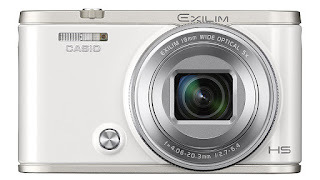 The compact body of the EX-ZR5000 packs a super-wide-angle 5x optical zoom lens. Thanks to the premium zoom feature based on super-resolution technology, the camera maintains high-resolution image quality up to a 10x zoom equivalent. The EX-ZR5000 has a bright F2.7, wide-angle lens. The molded glass lens delivers high resolution image quality through optical aberration correction and is designed to reduce surface reflection, with a filter to reduce ghosting. Wide View Photo mode automatically creates a zoom to wide angle animation, by capturing both a zoomed-in still image and a zoomed-out wide-angle still image. The zoom angle tracks the original position even when the camera is shifted, enabling the user to adjust the composition according to the subject. Animations created using Wide View Photo leave a completely different impression by revealing the background, to produce delightful and surprising moments for sharing on social media. Highlight Movie uses an original algorithm to automatically generate a fun digest movie featuring not only group shots and self-portraits, but also landscapes and various other scenes. Now with new wedding-themed soundtracks. With the Highlight Photo function, the user just specifies the shooting date and a layout, and the camera will then use image data to automatically select recommended photos from that date to compile a single collage. Make-up mode expresses subtle details and brings out feminine beauty with remarkable clarity, creating natural and fresh-looking skin tones to help achieve the ideal look for feminine skin. Users can add five artistic effects to images already made beautiful with the make-up function. The Elegant effect makes a photo look like it was taken right next to a window, while Foggy adds a softer ambience to the image. In other options, the Fairy effect brings out the feminine qualities of the image, while Nostalgic creates a sentimental, wistful mood. Finally, Vivid makes photos brighter. 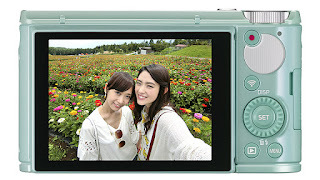 The tilt-type LCD enables users to check the angle of the shot and composition while taking a self-portrait, and the convenient Front Shutter makes it easy to take vertical self-portraits. 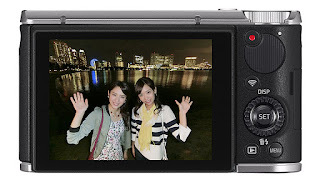 The Motion Shutter lets users activate the shutter just by waving a hand in front of the camera. These features make it even more fun and easy to take self-portraits. When the user points the lens and display in the same direction to take a self-portrait, the EX-ZR5000 can process the image as it appears on the screen, inverting it from left to right. Combined with the bright F2.7, wide-angle lens, the 1/1.7-inch back-illuminated CMOS image sensor, which has a large surface for receiving more light when shooting in dim lighting and for capturing quick-moving subjects such as children and pets, always captures the decisive moment. Thanks to its dual-CPU and two parallel image processors, the EX-ZR5000 offers a fast startup time of only 1.2 seconds, high-speed autofocus in 0.17 seconds, a lightning-fast shutter response of 0.015 seconds, and a rapid capture interval as short as 0.22 seconds. The EX-ZR5000 is capable of high-speed burst shooting of 12-megapixel images at up to 30 frames per second and with a maximum of 30 shots. If the AF Burst Shooting mode is used, up to 6 frames per second and a maximum of 30 shots are possible while focusing in on a moving subject. Using the Scene photo-sharing app, a QR Code*3 is generated on the camera LCD. The QR Code can be read with a smartphone to easily share images, without needing to install the Scene app on the other smartphone. 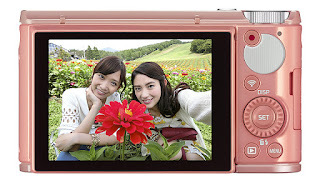 In addition to transferring all images, the camera is equipped with a mode to automatically transfer to a smartphone only those photos shot with face detection while the tilt LCD is open, and modes to transfer only photos in which faces are detected or without faces. The user can also view and select which images to transfer, and simultaneously view other images or shoot still images or video during transfer. By enabling location data on a smartphone, location data for the time the photo was shot can be added to images sent to the phone. A smartphone app that works with location data can be used to show where images were taken on a map, providing a fun way to relive a trip.